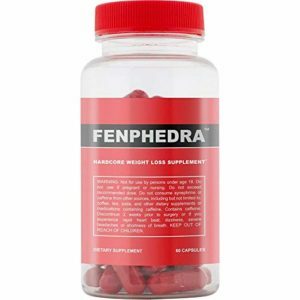 The official website of Fenphedra promotes the product as a revolutionary solution for weight loss. The claim reflects to the fact that certain chemicals in the body which they denote CART and NPY act in divergence to each other. The Amazon screenshots of the product clearly gives us important picture. Phenphen did not win customers love. As of writing this review article, I can see total number of 31 consumers feedback. Out of which 52% have left 1-star rating and 16% left 2-star rating. That’s almost 68% dissatisfied customers. Around 19% customer left 5-star rating which appears to be manufactured. One chemical has positive outcome for weight loss (CART) while the other has negative effect on weight loss (NPY). The CART stimulates the metabolism while reducing appetite. It also increases the insulin level delivering energy to the muscle instead of storing being stored as fat. These substances the website claims, have various effects on the body and each contributes to weight loss. Chromax reduces craving and hunger, DiCaffeine Malate and Caffeine stimulates thermogenesis, Green tea directly helps in loosing weight, Phenylethylamine promotes pleasure and euphoria while Hops triggers the body to relax. From the entire ingredient listed that has been medically proven to have some effect in weight loss, the first four contains those properties. The extent to which Phenylethylamine and Hops act positively for weight loss cannot be determined. No where on the website does it mention effective scientific or clinical aknowledgement of the drug yet testomonies provided seems to suggest that taking the drug even without excersize or diet may result in weight loss quickly and effectively. The product can only be purchased online. The website offer a 90 day trial period with a money back guarantee if the product does not prove to be satisfactory, Shipment is done with a trackable code using the service of various courier delivery companies. Phenphedra despite the fact that the website offers a trial period and that it contains some of the ingredients that is considered essential for weight loss does not have anything extraordinary with regards to other drugs. Scientific studies have shown that loosing weight requires a combination of diet and exercise. Supplements sometimes aid to the process yet there is no mention on the website of a well coordinated plan of diet and excersize. The website provides a telephone number and the possibility to chat live yet when trying to contact an operator for a live chat, the process seems to take extremely long and there is no guarantee to the length of time one should wait in order to be connected. As a diet supplement, Fenphedra has some ingredient that can result in weight loss. The website almost is made in such a way that one can easily think of it as being a scam. Recommendation of this product can only be done on the basis of functionality but purchasing the product should be done very carefully and with caution.